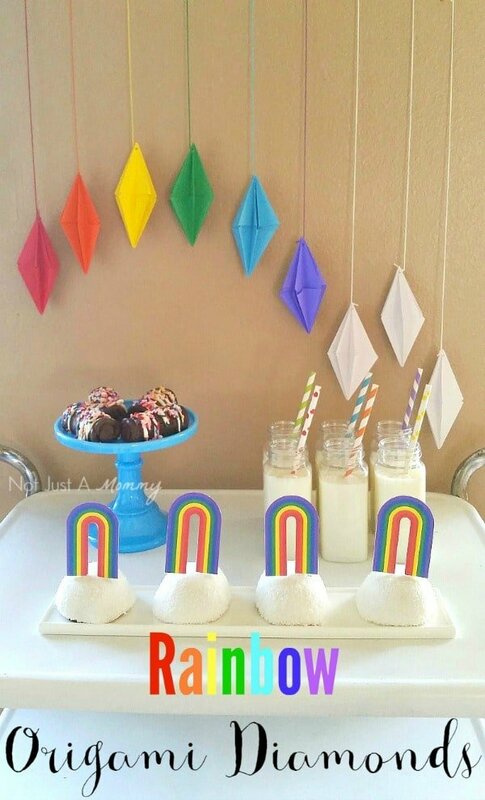 Rainbow Party Table Ideas + Free Printables! Her post even leads to a how-to video. How hard can it be? They made it look so easy. I used 5” notepad paper; the folding was fairly straight forward; it was the joining that took a bit to figure out. You will know instantly if you did it wrong because it falls apart. Instantly. But by all that is holy, after pausing the video 16,000 times I figured it out. Then again, it was late at night. I blame that. But once I got the hang of it, they are a breeze and hung together, they served as the perfect backdrop to our little party table. 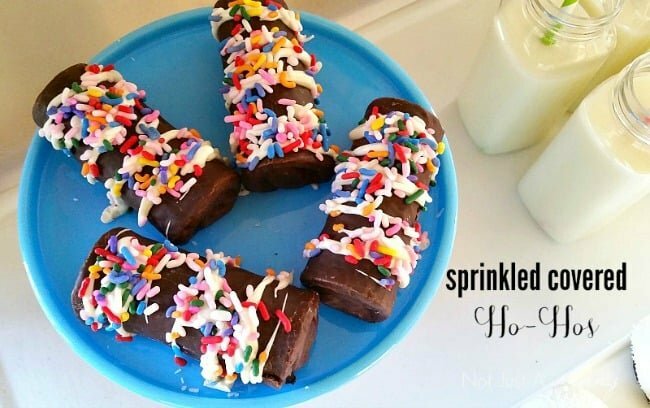 Our simple treats include Rainbow Ho Hos; I drizzles melted candy melts over them and covered in sprinkles. 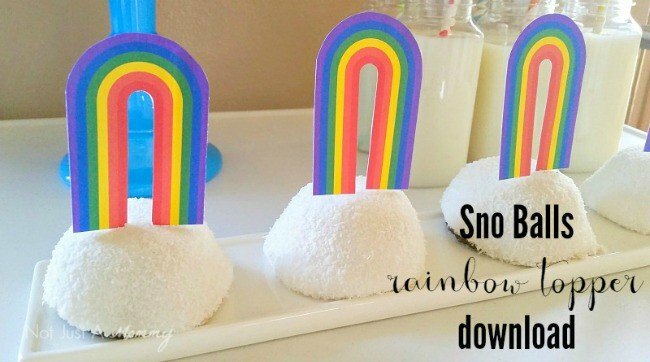 Sno Balls remind me of fluffy clouds, so I thought it would be fun to add a rainbow topper glued onto a lollipops stick. 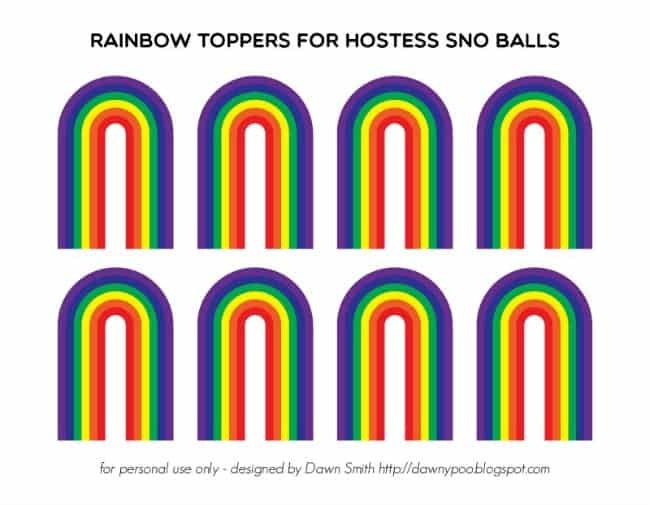 I’m sharing the rainbows as a free download so you can make your own. Need more St. Patrick’s Day party inspiration? 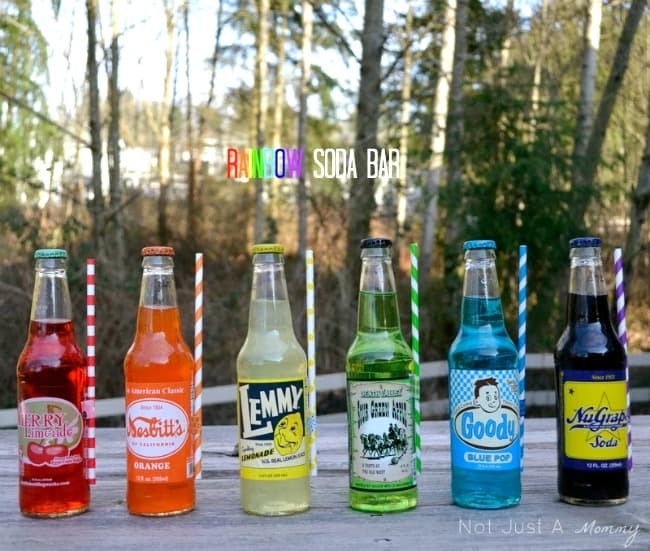 Check out my Rainbow Soda Bar…they can do double duty as a centerpiece and drink buffet. 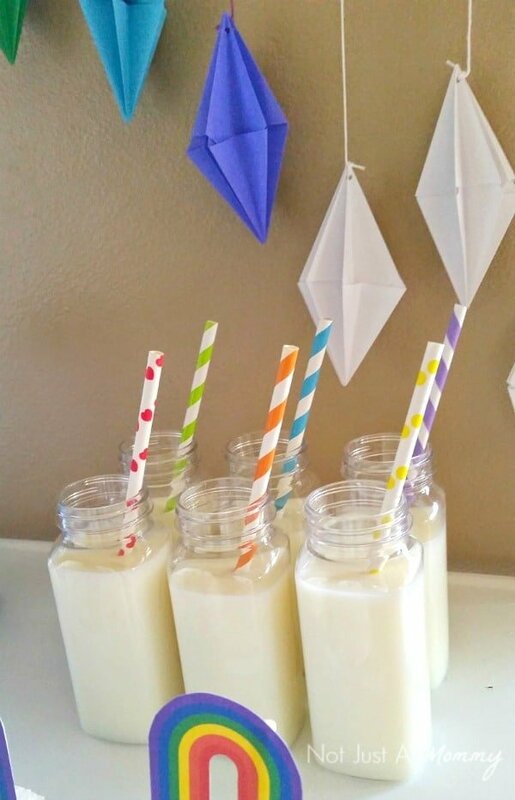 We’d like to send a big THANK YOU to Dawn of Not Just A Mommy for sharing this adorable tutorial with us. 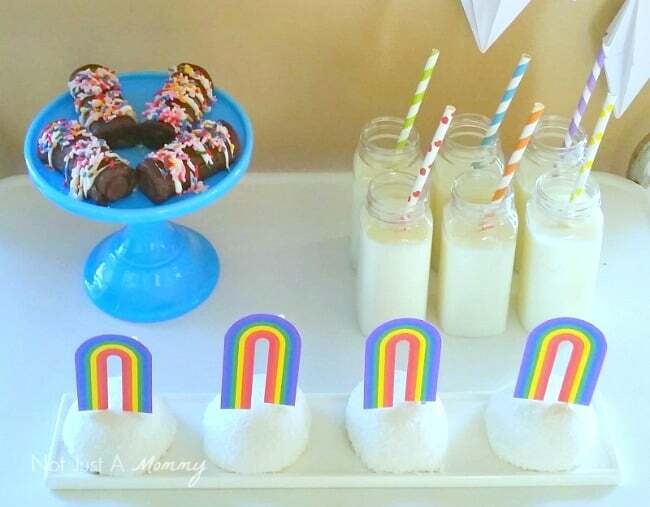 Are you excited to create your own rainbow party table now? Perfect for a birthday party or St. Patrick’s Day! 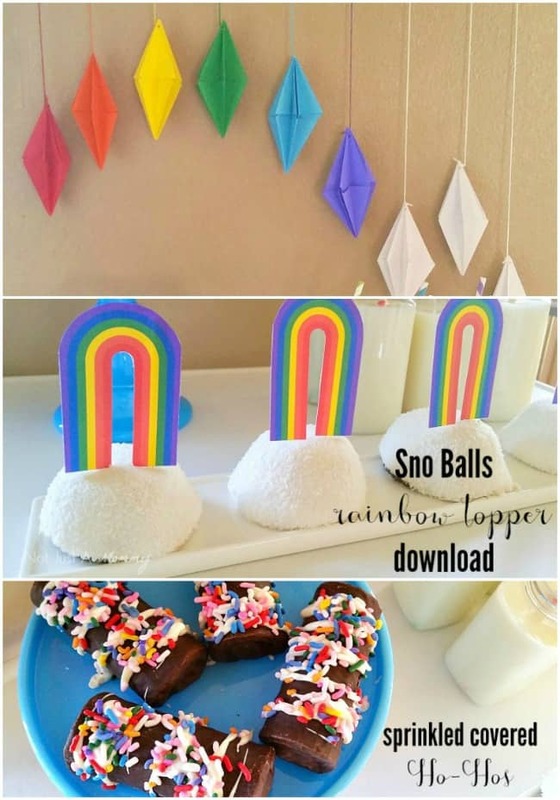 Over on her blog you’ll find plenty of party inspiration – so many clever ideas that she makes easy to recreate for yourself! Be sure to follow her on Facebook, Pinterest and Twitter for even more creative ideas.